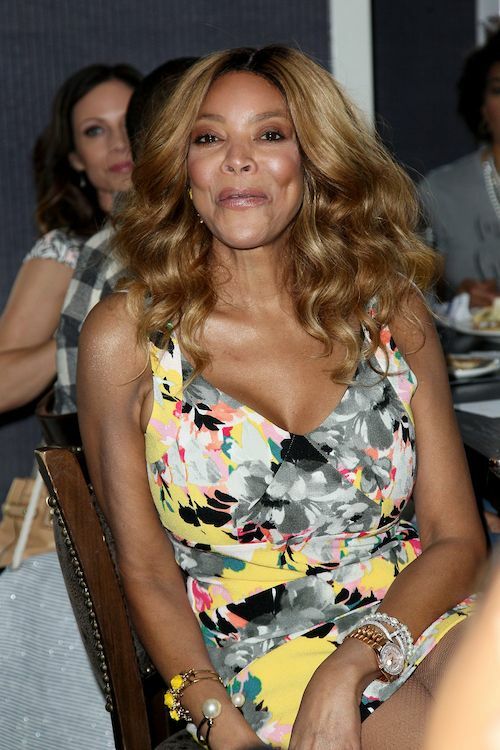 It's week 3 of Wendy Williams' big return to "The Wendy Show," and she's been back to her original quick witted, clear minded, sharp self. She's even ruffled a feather or two since being back. And we gotta say, we're happy to see it all. Now, she seems to be ready to tell her truth. The tv host spoke to her audience - her co-hosts in-studio and those watching at home - at the end of today's show about what her recovery leave was really about: She's been living in a sober house and has a 24-hour sober coach. She did not outright state she succombed to her addiction or relapsed. It is, however, common for those who do to enter into a halfway house or sober house. She revealed she kept this a secret from everyone, including her parents, and only her husband and son knew. They visit her there everyday. "But there are people in your family -- it might be you -- you have been struggling. And I want you to know more of the story," she went on to tell her viewers, talking directly into the camera. "So, this is my autobiographical story, and I'm living it. I'm telling you this. After I go to the Pilates, I go to several meetings all around town in the Tri-state area. And I see my brothers and sisters caught up in their addiction and looking for help. They don't know I'm Wendy. They don't care I'm Wendy. There's no autographs, there is no nothing. It's the brothers and sisters caught up in the struggle. It's been really interesting. This ride. Only Kevin and Kevin have known about this. Not my parents, nobody. Nobody knew. Because I look so glamorous out here." Her new routine for the past few months or so entails her going straight to Pilates class for 2 hours after taping the show. Then, she goes straight to a sober house in Long Island City immediately after her workout where she says she's treated like a normal person. It's lights out at 10p, and she starts her day over the next morning at work. 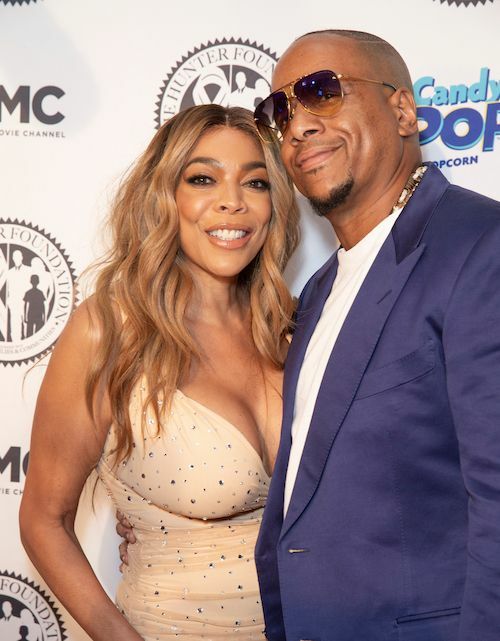 As you know, Wendy has always been vocal about her past addiction to cocaine and illegal drugs, but has also said she never received formal or official help for the addiction. She said she got herself off of the drugs. Over the last couple of years, her fans, and also allegedly her friends and staff, have grown increasingly concerned over her odd behavior - slurring of words, passing out on TV, and seeming a bit out of it and messing up details while doing her hot topics segment. Now, she is receiving formal help. As for what caused her to pivot back to her addiction - which is now an addiction to pills and alcohol, according to Daily Mail - reports allege it's all due to confronting husband Kevin Hunter over those quite detailed cheating accusations. Allegedly, she is the person who hired a private investigator to follow her husband around about a year and a half ago, and it was discovered, allegedly, that he was having a 10-year-affair with 33-year-old Sherina Hudson. The Daily Mail also released their own story about her living at the sober house around the same time she made the admission on live tv, and we do wonder if she did so in order to control her own narrative if she knew the story was being released. The site snapped pictures of her over the past two weeks since returning to the show from a hiatus, showing Wendy being picked up from the facility every morning by a driver at 7am and taken to her Manhattan studio to film. Her husband often drops her off there after her workout. Wendy also spoke about her and Kevin's new foundation that helps others navigate their road to sobriety. We truly wish her the best. NEXT: Paris Jackson Goes Off Again, Spotted On Movie Date With Boyfriend & Mötley Crüe Show After Denying Attempted Suicide Reports + Now Refusing Rehab?